Now also on CD: Check our Bandcamp page! 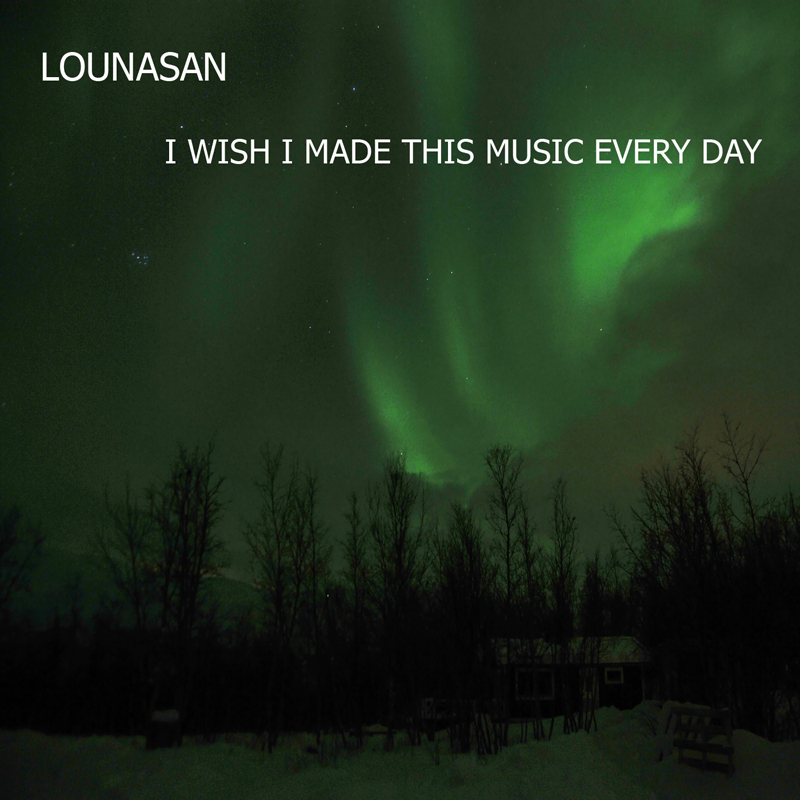 On this album, 'I wish I made this music every day', Lounasan dives very deep into eternal landscapes. This pure ambient album sets you on a voyage, like a long everylasting train ride through empty and vast landscapes that seem to move on and on forever and ever. 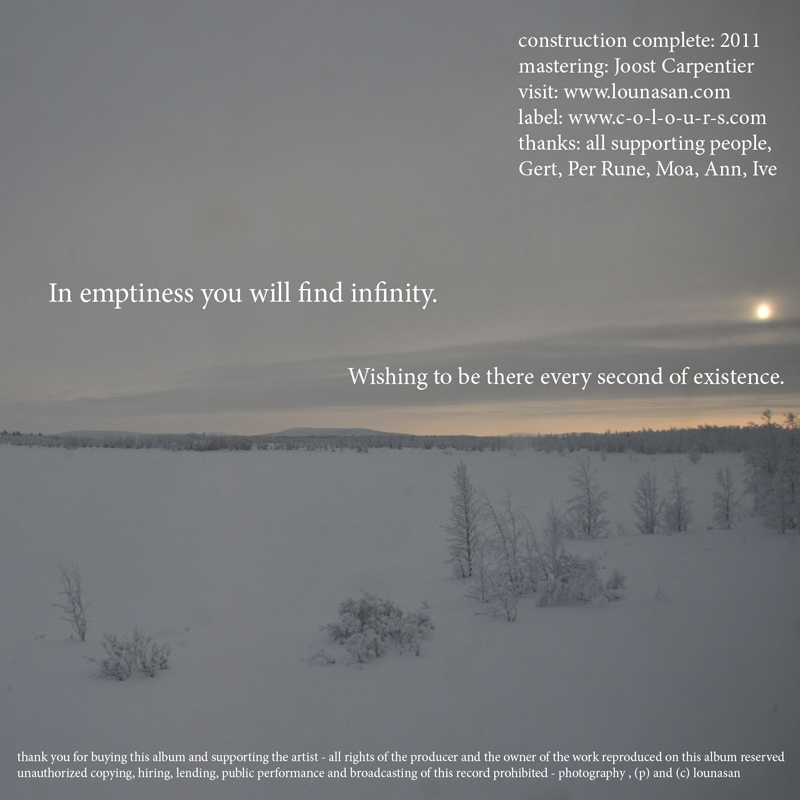 The muscial creation has been done over quite some time but the final input came from a long train ride to the artic circle in winter time. There, time seems to stop and live is very different. Temperature is low, the landscapes are vast and monotonous, silent and impressive. Cold and warm are both present on this musical voyage. As the title suggests Lounasan is very grateful that this music just appeared by itself and he's very happy to share it with you. Now it's your turn to go on a travel in mind. We hope you will enjoy this unique album full of layered ambient soundscapes. The title itselfs expresses the deep and profound wish of Lounasan to be in this state of mind every moment of the day. The artist shows his deep gratitude that this 'just happened' and that now the music is there to travel on its own. By releasing it on C-O-L-O-U-R-S you have the opportunity to step on the train to the emptiness, finding infinity! C-O-L-O-U-R-S proudly wished that Lounasan made this music every day!